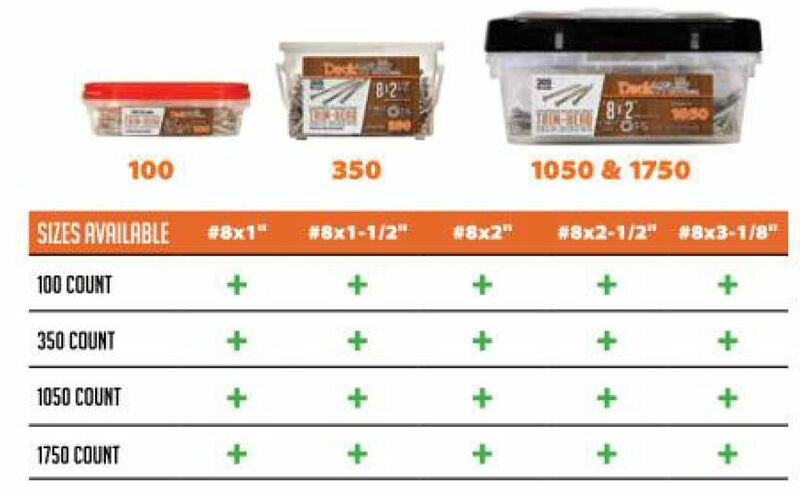 Long planned and well thought out, the Colormatch Deck Screws from Deckwise™ provide ease of installation of any Ipe decking project. 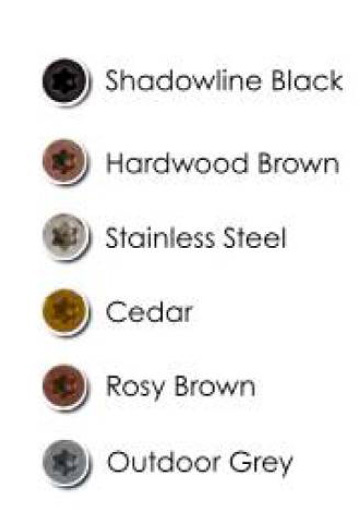 The Colormatch Deck Screws have been thoroughly tested in both Brazilian Hardwood and composite projects. 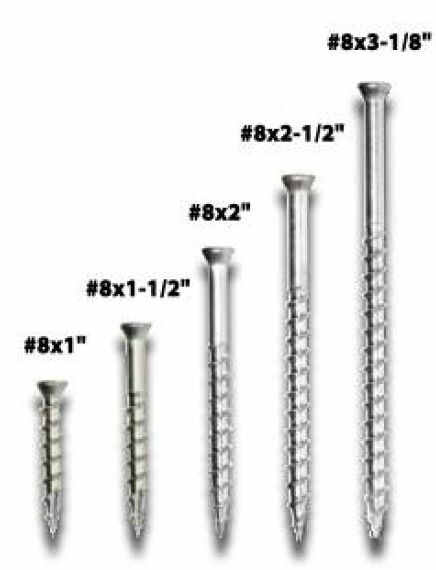 Deckwise™ Colormatch Deck Screws 305 Stainless auger bit fastener is a fine choice when selecting a compliment for your Garapa deck. A wide variety of colors and sizes are available. All Colormatch have the following characteristics’. 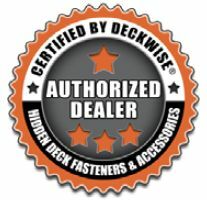 In addition, we stock a variety of sizes just right for your deck project.